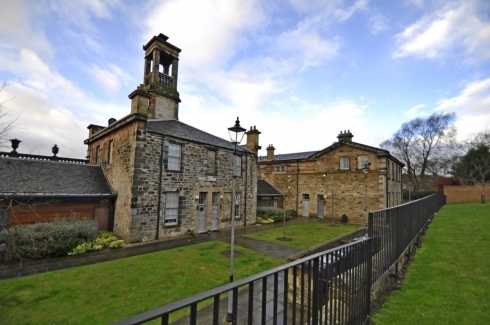 This fully furnished & immaculately presented two double bedroom apartment is set within the converted Victorian 'Grade A' listed Bathgate Academy, in the Marjoribanks area of Bathgate. 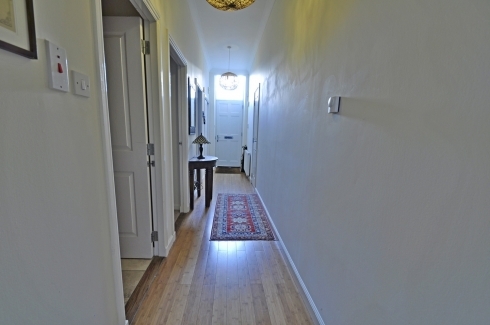 From its own front door access, the hallway leads to all rooms, including two double bedrooms, with built-in wardrobes, and large sash and case windows that are present throughout the property. 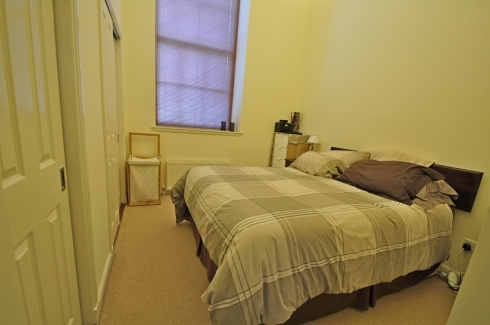 The Master bedroom includes en-suite facilities with electric shower. 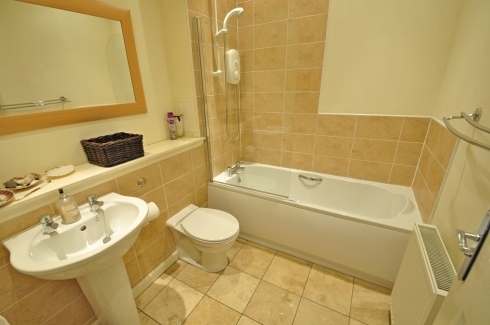 Family bathroom comprises: 3 piece suite & electric shower over bath. 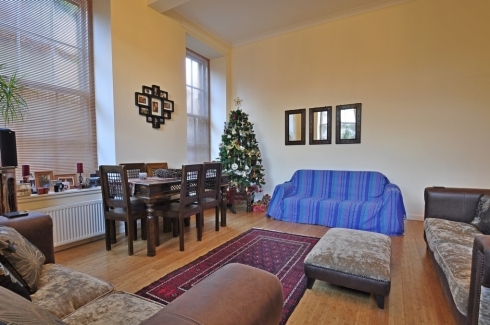 The beautifully furnished main living and dining area of the apartment is an exceptional open plan area with high ceilings, this area which also contains the open plan modern fitted kitchen with integrated appliances and a wide range of essentials. 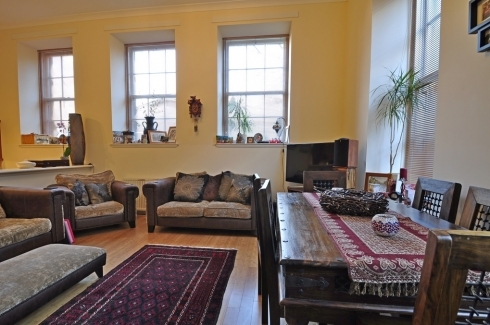 Lounge/Dining area : 15'1" x 17'6"
Kitchen area : 7'8" x 17'6"
Family Bathroom : 7'9" x 6'4"
Located in the central Bathgate area, this property is well placed for access to all local amenities and transport including Bathgate train station. 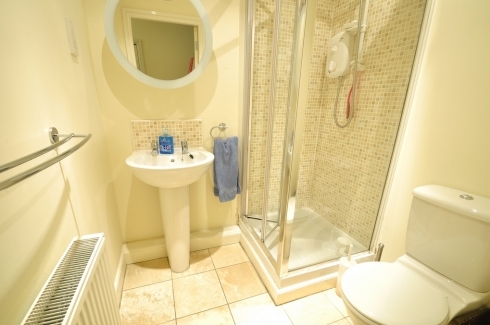 There are excellent links to nearby towns including the motorway. 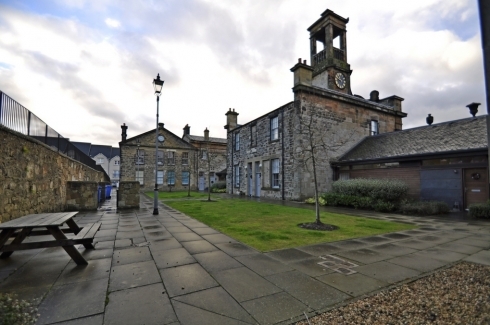 Nearby towns are Armadale, Blackburn, West Calder, Whitburn, Livingston, Linlithgow and Falkirk. 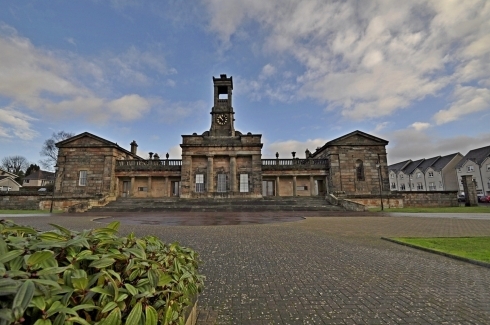 Bus Services in Bathgate include First Scotland East and E&M Horsburgh. 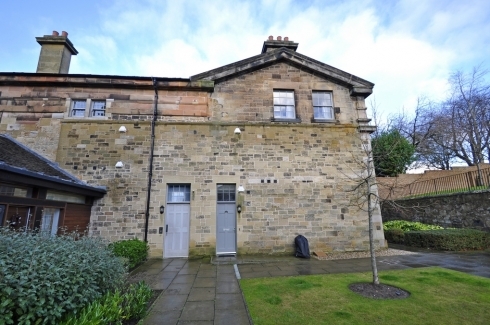 At PropertyWebScotland we don't have the same costly overheads which ultimately someone has to pay for. 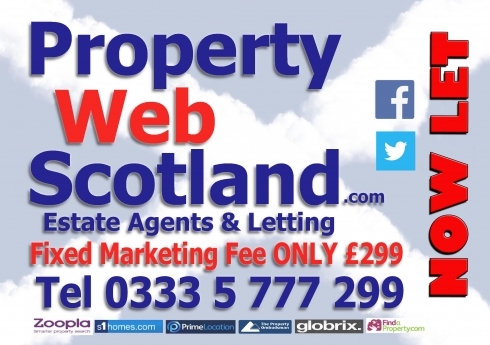 Our fixed marketing fee of ONLY £299 is one of the lowest available but at PropertyWebScotland we are dedicated to provide every bit as good a service - infact better. 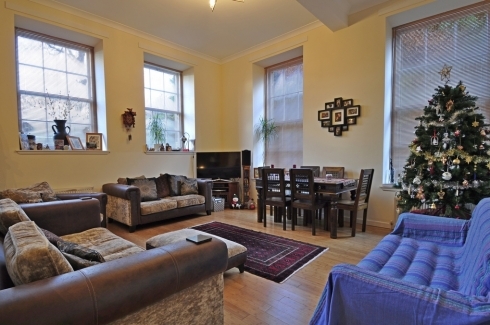 Whatever your property needs "Renting Is Made Simple" at PropertyWebScotland. At PropertyWebScotland we endeavour to make our sales particulars accurate and reliable, however, they do not constitute or form part of an offer or any contract and none is to be relied upon as statements of representation or fact. The services, systems and appliances listed in this specification are all intended to adhere to Repairing Standard Scotland. 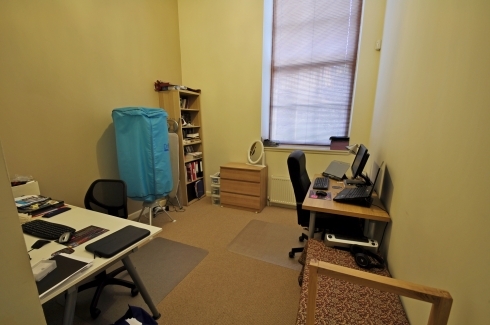 All measurements have been taken as guide to prospective buyers only, and are not precise. Floor plans where included are not to scale and accuracy is not guaranteed.